I went to Vermont for a 3 day Wanderlust yoga festival over the weekend, and my garden did a salute to the sun! Over the weelend, the two cukes on the vines doubled in size; the blueberries went from small and green to plump and bright blue; the cherry tomatoes sprouted fruit; and the hydrangea exploded with colorful flowers. Wow! Hooray! 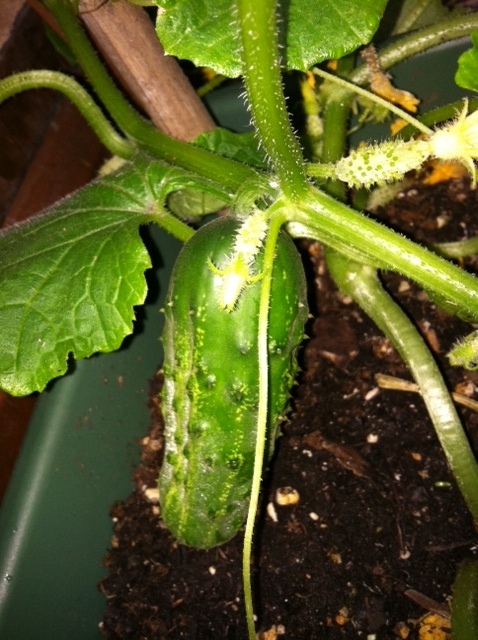 My cucumbers are gowing. Last year, the little devils just did not cooperate. I got vines, but the cukes only grew to the size of large jelly beans! If this early kirby is any example, I will be getting a healthy crop this year. Another change: I planted them in a long planter rather than a large round pot. Certain veggies, including lettuce, seem to grow best in the long shallow containers. I am using trellises to hold up the vines, and they seem to like this arrangement. 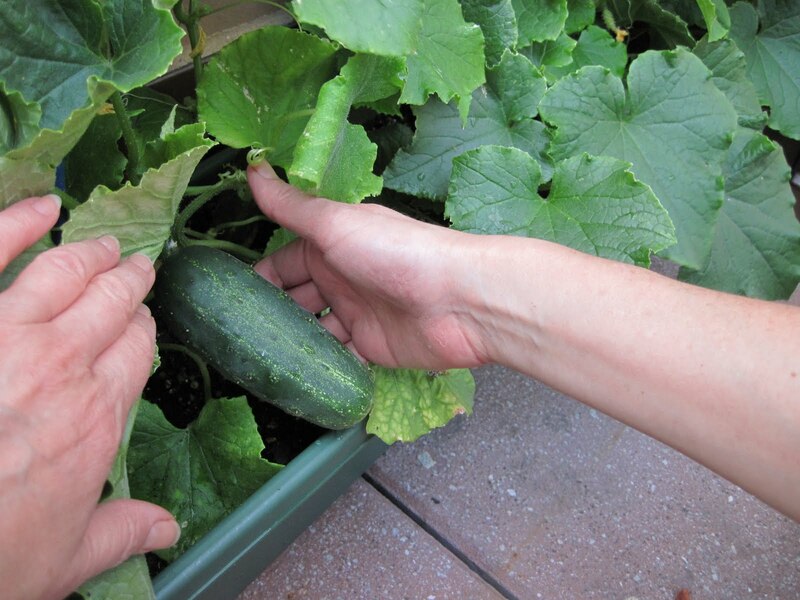 I have heard that bees are needed to pollinate cukes, but I haven't seen many around the plants, so maybe that's just an old wives tale. 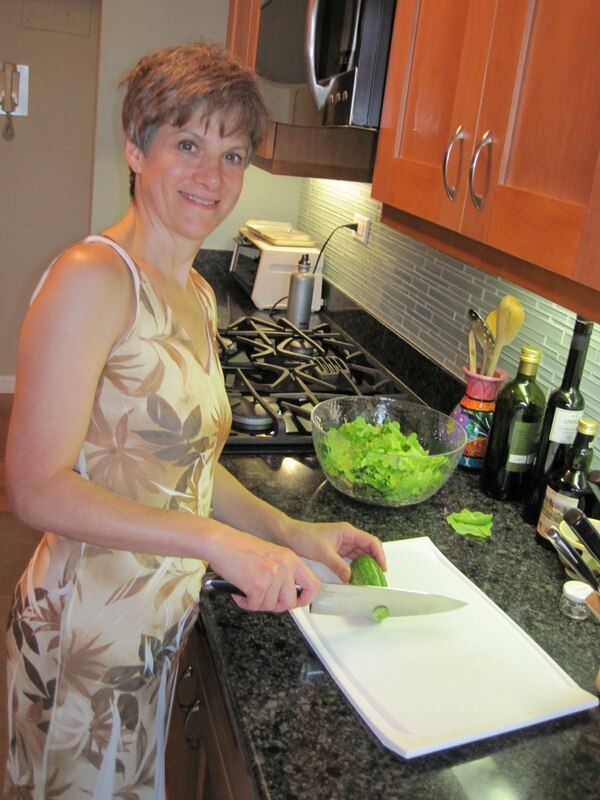 At any rate, I am looking forward to adding the fresh produce to my salad soon! Just found out about this opportunity and figured I'd share, dear readers. It's a casting call for farmers. Could this be Green Acres reality style?? person that can prove them wrong?